5th December 2012. Last night at the Annual meeting TWIG was officially dissolved, read about in 'News hoots' All funds to be donated to the Green Light Trust. Pictures and descriptions of events TWIGS have been involved in during the years. 7 members of Twig went along and joined in, we planted 37 of our own trees and a lot of theirs! Bacon butties for all afterwards! Wish other Parish councils were as forward looking as Mayland. Seed Gathering, Hazeleigh, October 26th 2008. Despite the heavy rain, 37 turned out to enjoy a walk. Sadly due to the miserable summer there were not many seeds to be had. However all the children that attended were able to take away a pot with a seed planted in it to nurture! The Tillingham Flower show 2008. Here is Carla on our stand. People remarked that it was refreshing to get something for fun and free! We had a 'Wish Tree' donated by Mayflower Nursery, where you could place a paper leaf with a wish on the tree for fee. The wishes collected will be planted under tree one day in the wood. The other free item was your birth tree and the meaning of it. a bit of fun that was enjoyed by all. We ran our treasure hunt again, this year the prize was the book, 'Remarkable Trees' and it was won by Holly (appropriate name) Winter. We now have hundreds of supporters and promises of help come the day. We can't wait! Late April 2008 saw the best bluebells in years and we were so pleased that over 120 locals turned out to take the opportunity to view them. 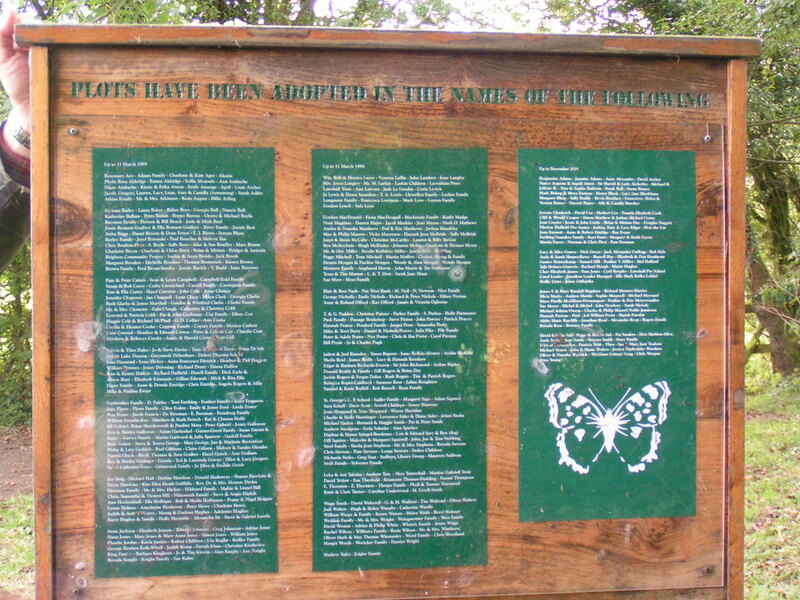 The venue was Hazeleigh woods, courtesy of supporters John and Maureen. The Preschool mums provided refreshments and with all the visitors were just about sold out by 2pm! The walk was not just about the Bluebells, which were magnificent, but about all the creatures that live in the wood and the other wild woodland flowers as well. A nature trail with information stops and a quiz was enjoyed by all. The woodland is a working wood and the piles of cut timber, carefully stacked off the ground were to be seen in the coppiced areas. Charcoal and other woodland products were on display and sold as well. At times the car park was full and the queue of vehicles stretched way up the lane! The refreshment tent was working overtime! And when the walk was done there was a real wooden boat to sail off in! I think it can be fairly said that a good time was had by all. Particular thanks to Jackie, Jo and Carla for organising the competitions and guided walk, and to the members of TWIG who turned out to help. We had to thank the weather for staying dry! The last visitors left at 4.30, it poured minutes later! Saturday 19th January 4 Twig supporters turned out to assist Jono Stevens and his helpers plant 400 yard or so of hedge and a row of large trees! A cold wet windy day, but the rewards.. a bacon bun and a row of planted hedge! The result of our efforts! Seed Gathering Event held in and around Tillingham, November 2007. All the children from St. Nicholas's School, plus the pre school children have participated in seed gathering again this year. The School children were in three groups, Twig steering group members, Jo Whitley and John Williams organised seed gathering with the majority of the children on two consecutive Wednesday afternoons. After a brief chat we set off round the West Field to gather as many different seeds as we could. the record was 10 different types. In all there were 12 different types collected by all the groups. These will be planted out later in the winter during other outdoor sessions. The lower school and the new intake were escorted during a walk through the church yard and down the footpaths to the east. This was an acorn hunt! The children, over 50 of them, then all got to plant up an acorn and will look after them till spring in the school. In spring, those that germinate will be taken to one of our nurseries to ensure protection and watering till they are ready to plant out. the Play School or Pre School children, 16 of them, were escorted into the West Field where they filled bags with acorns! We also organised a Seed Gathering event at Hazeleigh Woods, where local people and members of the public generally, were invited to take a stroll though these manages woodlands, courtesy of the owners, John and Maureen. Many varieties of seed were gathered, lots of children left clutching pots they had planted up, with a seed of their choice. Same who attended had already grown young trees and were nurturing them ready for planting when the day arrives! It was a perfect autumn day and all who attended revelled in the colours of the trees and some of the seeds.! We displayed a host of ideas about what the children of the village would like to see in the wood and received a lot more constructive ideas from local people, all of which will be used in the design and planning stages. Sadly not Tillingham, but nearby Mayland! We donated some 15 of our larger trees, grown from seed here. They are too large now and needed to go in before another summer. 4 Twig members brought spades to Mayland, behind the Primary School in Katonia Ave. at 10 am. By 11am we had planted our 15 large trees and with the other 30 who turned up, had finished planting the other 75 plus small Oaks! The next hour saw all the trees staked, tied and mulched, and all the volunteers supplied with tea coffee and cakes. well done to all those who turned out! A sample of the pics taken below, more on Mayland's website when it opens. We will have a link to Jono Stevens and his band! A good 2 hours work! Tree Planting in Grange Road. these, and another 20, were planted in 1999 by John. Thanks to Andrew and Neil Cowell for permission to plant on their land alongside the road. 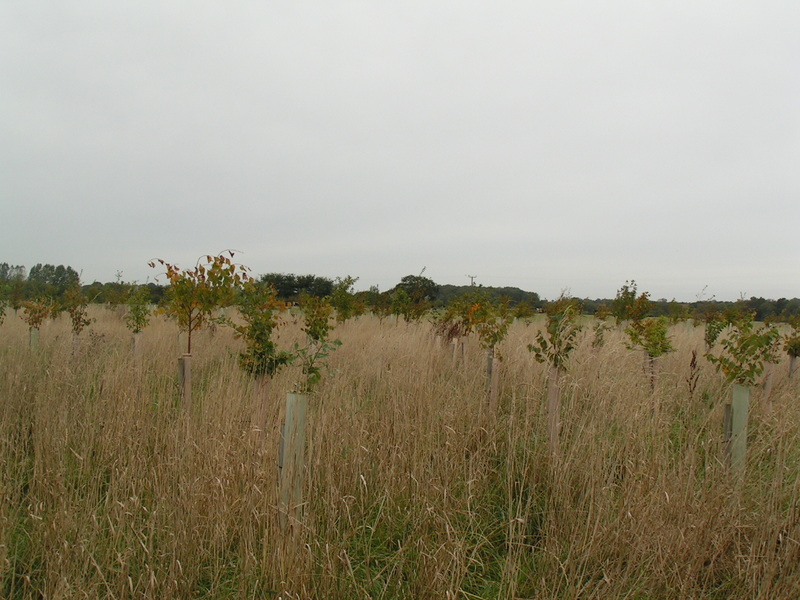 These Silver Birch were donated as seedlings and planted at the corner after a number of trees were destroyed. They have been watered through 2006's summer and are surviving. Thanks to Nick Mee for permission to replant here. Planting the churchyard extension hedge. Visit to Green Light Trust. 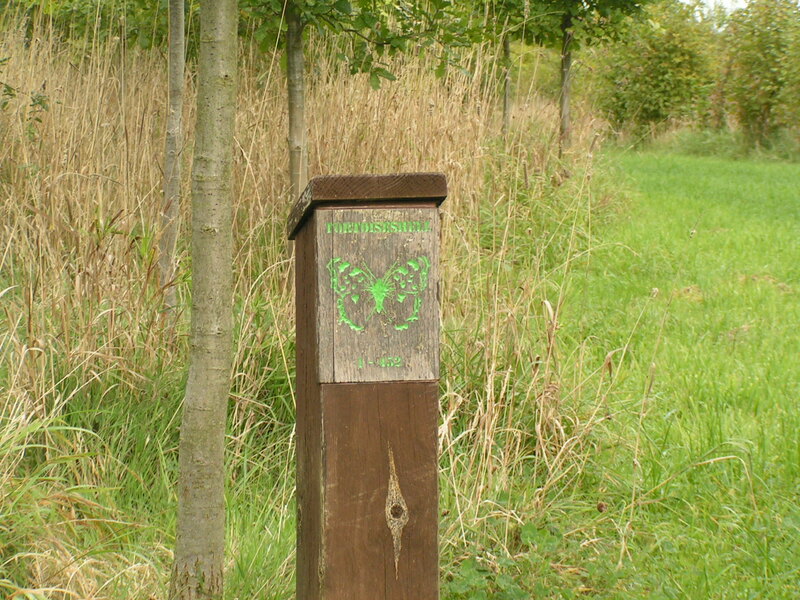 We visited the Green light Trust's woodland at Lawshall in Suffolk. They have since become our partners and we hope to adopt many of their good ideas. Here they have a list of all those who helped! We are hoping the hobbies Club are going to assist us with similar ideas for signs! the latest trees planted just a couple of years earlier. Mr Henderson the winner of our Tree competition, with his Garden voucher. Seed gathering and planting with local children at Beavers, School and Playgroup. Beavers after seed gathering and planting. Darian collecting seeds at Hazeleigh 2006. John planting up some of the hundreds of seeds collected. Walk in the woods, 2006. A shady area of Hazeleigh. this mature woodland has been made available to us on several occasions now by John and Maureen, We are very grateful to them. We hope to organise more open days here.